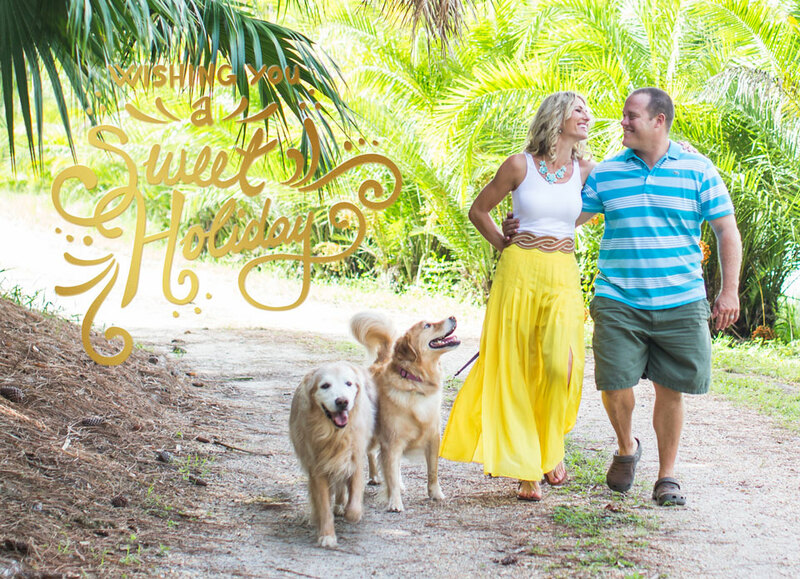 Lucky Old Sun Ranch | Have Yourself A Sweet Holiday from Lucky Old Sun Ranch! 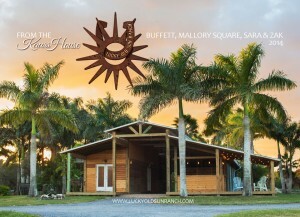 23 Dec Have Yourself A Sweet Holiday from Lucky Old Sun Ranch! Time flies! It’s been two years now, since we purchased this palm-tree-saturated property! 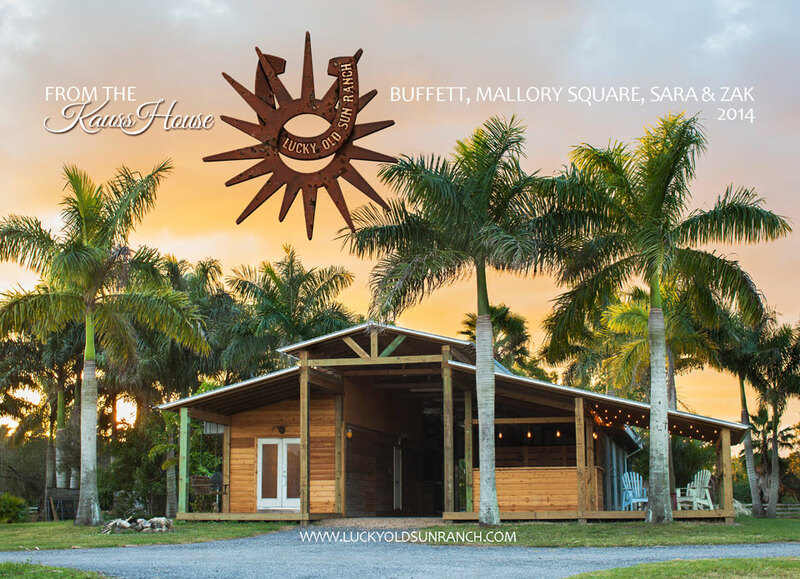 We’ve put a ton of hard work into clearing trees, remodeling the barn and of course enjoying amazing sunsets with a glass of wine (the hardest part:). Looking forward to the Jupiter Farms, country weddings we have booked for 2015 and making many more campfire memories in the years to come! Merry Christmas and the happiest new year to all! Sara, Zak, Buffett, Mallory Square, barn cats, wood ducks, bass, squirrels, bunny rabbits and all the other animals at LOS!